The 92nd Street Y is a microcosm of the great metropolis in which it was founded in 1874 - a place with an unwavering commitment to its local community and a reach well beyond the geographic boundaries of that community. Nurtured by New York's visionary Jewish leaders, including such pillars of the Jewish community as Jacob H. Schiff, his son-in-law Felix M. Warburg and Judge Joseph M. Proskauer, the Y has been, from the start, a fusion of the culturally- and the community-minded. At once a school, a lecture hall, a performance space and a community organization, the Y is an address that has become an indispensable part of the intellectual, spiritual and cultural landscape of New York City. Anyone who walks through the doors of the 92nd Street Y has to marvel at the organization's exhilarating vitality, palpable history, remarkably diverse patrons and singular ability to enrich so many lives in so many ways. A proudly Jewish institution that reaches out to people of every race, ethnicity, religion, age and economic class, the Y has defied definitions and limitations throughout its history - much like New York itself. And like New York, the Y is a fast-paced environment, with literally hundreds of classes, workshops, lectures, concerts and lessons taking place every day. Yet no matter what its pace, the Y remains focused on its mission of enriching the lives of those who pass through its doors. Indispensable to the Y's ability to realize its mission is the formidable bond among its generous and devoted lay leaders - many second- and third-generation members of families with a longstanding commitment to the Y; its unusually talented and dedicated staff who create and oversee the hundreds of programs that bring joy and fulfillment to over 300,000 people every year; and its welcoming, sophisticated patrons who embrace and thrive on what the Y offers them and who give back to the Y with their spirit, their participation and their excitement. The Y's involvement in New York City's intellectual life is well known. The Y's lecture series is second to none, featuring leading thinkers who address both timely and timeless social, political, religious, artistic and scientific issues. The roster of names is thousands long, ranging from major league baseball player Hank Aaron to billionaire publisher and real estate tycoon Mort Zuckerman. Long a pioneer in the field of community service, the Y has always given back to the community, defined both narrowly and broadly. A downtown branch that served the Lower East Side and its burgeoning Russian-Jewish immigrant population in the 1880s was the forerunner to the Educational Alliance. Summer camping programs that were started in 1903 include a longtime partnership in running Surprise Lake Camp. The establishment of FEGS (Federation Employment and Guidance Service) in 1934 was a direct outgrowth of the Y's employment bureau that began in the 19th century. Services for senior adults were started in 1950 in collaboration with the Yorkville Civic Council. For information on accessing the 92nd Street Y Archives please contact Karen Kolodny, Director, Milstein/Rosenthal Center for Media & Technology at 212-415-5695 or via e-mail at archives@92y.org. The School of the Arts at the 92nd Street Y has long been recognized as the best community-based art center in the country. Comprised of the School of Music (founded in 1917), the Art Center (organized in 1930), the Dance Center and the Educational Outreach Program, the School offers classes for all ages and all levels of expertise: from pre-school to high school, from enthusiastic amateurs and emerging professionals to senior adults - all taught by a faculty of working professional artists. Since 1939, the Unterberg Poetry Center has produced an unparalleled literary reading series that presents the most distinguished writers of our time and offers extensive educational programs for writers of all levels. Among the preeminent writers who have appeared at the Y are W. H. Auden, T. S. Eliot, Robert Frost and Dylan Thomas, whose play Under Milk Wood had its 1953 premiere on the stage of the Y's Kaufmann Concert Hall. The Tisch Center for the Arts has presented many of the world's most acclaimed musicians as well as promising newcomers in concerts of classical, world, folk, cabaret and jazz music, along with lyric theater. The great cellist Gregor Piatigorsky performed at the Y, as did the Budapest String Quartet and Andres Segovia. Celebrated artists Dawn Upshaw, Eugenia Zuckerman, Emanuel Ax and Yo-Yo Ma appeared regularly at the Y long before they achieved international fame. The Lillian & Sol Goldman Family Center for Youth & Family promotes the healthy development and growth of children and families. From the highly regarded Parenting Center (launched in 1978) to extensive activities for young children and teens, to programs for developmentally disabled children and young adults, the Center provides a strong foundation for parents and children to reach their maximum potential. 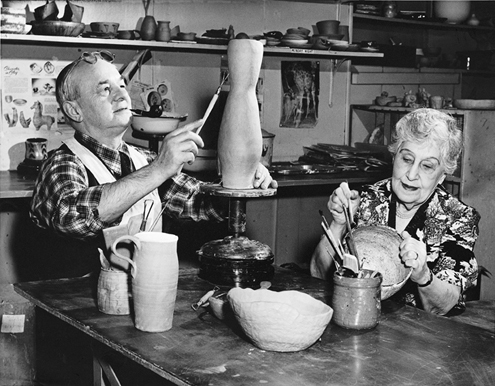 The Charles Simon Center for Adult Life & Learning offers a unique blend of social, educational and cultural programs for adults at every stage of their lives. In addition to its prestigious lecture series, the Center offers diverse personal growth, career development, humanities and language classes, and the 60+ Program. For 350 young men and women, the Y provides the de Hirsch Residence, continuing the legacy of the Young Women's Hebrew Association (1902-1945) and the Clara de Hirsch Home for Working Girls (1897-1962). Jewish culture has been central to the Y's mission from the start. 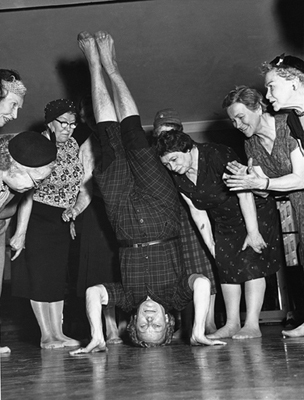 The Y began as a place where young Jews could gather to socialize and to learn. The Bronfman Center for Jewish Life offers an array of lectures, dialogues, classes, seminars, workshops and holiday celebrations that explore Jewish ideas and themes. The Center's programs are designed for those beginning their exploration of Judaism, continuing their studies and seeking a better understanding of Jewish values, texts, history and rituals. The emphasis on the importance of fitness and wellness was present at the very start in 1874. The May Center for Health, Fitness & Sport provides adults and children with numerous opportunities for exercise, recreation, health and wellness education and participation in competitive sports. The Center also addresses special populations through its wellness, nutrition and women's health programs, individual instruction and lectures and seminars by leading authorities. The mission of 92YTribeca is to bring together and inspire a diverse community of young people from New York City and beyond, including musicians, artists, filmmakers, performers, writers, educators, humorists, directors, speakers, sports enthusiasts and many others. 92Y Tribeca showcases new and emerging work; explores current trends and news; offers a fresh look at Jewish culture and ideas, and and supports a sustainable, healthy environment. Daytime at 92YTribeca is where experts deliver classes, lectures and events downtown. The Milstein/Rosenthal Center for Media & Technology is spearheading the Y's foray into the technology age. Working with the other program centers at the Y, the Center develops and implements technology-based programs and enables the Y to reach out beyond its four walls to communities around the world. Standing firmly behind all of these efforts is a Board of Directors who support the 92nd Street Y with an unparalleled generosity. And, like their predecessors, the names of the Board members represent New York's leading Jewish philanthropists. These families and many others embody the Jewish concept of tzedakah - the righteousness of giving. It is their extraordinary pride in what the 92nd Street Y has accomplished since 1874 and their unwavering faith in what the institution will accomplish in the future that enables the Y to reach out to thousands of people every year - on Manhattan's Upper East Side, throughout New York City, across the country and all over the world. 92ND STREET Y (NEW YORK, N.Y.). ART CENTER. Physical description: 4 cubic feet. Historical note: The Art Center of the 92nd Street Y was established in 1930 and provides instruction in art appreciation, fine arts, photography, ceramics, jewelry and metal-smithing to children and adults. Summary: The Art Center records include administrative files related to courses, workshops, and lecture programs, as well as information about the center's instructional divisions, 1930-2002; and faculty and staff files, 1955-2004. Associated materials: Other materials related to the Art Center may be found in the following collections also held by the 92nd Street Y Archives: Additional information on the courses and administration of the Art Center, as well as faculty files from the 1930s through 1980s, may be found in the Education Department record group and the printed material produced by the Education Department. Most information on art exhibits held in the Milton J. Weill Art Gallery and its predecessors may be found in the School of the Arts record group. Corporate subject: 92nd Street Y (New York, N.Y.). Art Center. Subject term: Jewish community centers. Subject term: Art--Study and teaching. 92ND STREET Y (NEW YORK, N.Y.). EDUCATION DEPT. EDUCATION DEPARTMENT ADMINISTRATIVE RECORDS, 1899-1990 (BULK 1955-1990). Physical description: 21.5 cubic feet. Historical note: In existence from 1930 through 1990, the Education Department of the 92nd Street Y was responsible for the overall administration of all educational programming, including classes, lectures, literary readings, art exhibits, performances in music, dance, drama, and children's entertainment, Jewish educational and recreational programming, the Archives, the Buttenwieser Library, and the Nursery School. Summary: The Education Department records include meeting minutes, announcements, and correspondence related to early education activities at the 92nd Street Y prior to the formal creation of the Education Department, 1899-1934; director correspondence and topical files, 1930-1990; files on particular projects and activities, including Humanities Classes, 1984-1988, the Children's Entertainment Committee, 1947-1974, and the CONNECT educational program for unaffiliated Jews, 1979-1987; and correspondence and employment information for faculty, 1941-1948 and 1955-1990. Finding aids: A finding aid is available from the repository. Associated materials: Other materials related to the Education Department may be found in the following collections also held by the 92nd Street Y Archives: Files related to music, dance, lectures, classes, and other non-literary events from 1930-1975 are held in the Education Department events record group. Files related to Unterberg Poetry Center events may be found in the Unterberg Poetry Center events record group. Audio and video recordings of some Education Department events from 1949 to 1990 are available. Additional information on Education Department divisions may be found in the Unterberg Poetry Center, Harkness Dance Center, and Art Center records groups, and the Theatre Activities collection. Corporate subject: 92nd Street Y (New York, N.Y.). Education Dept. Corporate subject: 92nd Street Y (New York, N.Y.). Unterberg Poetry Center. Corporate subject: 92nd Street Y (New York, N.Y.). Harkness Dance Center. Corporate subject: 92nd Street Y (New York, N.Y.). Nursery School. Corporate subject: 92nd Street Y (New York, N.Y.). Buttenwieser Library. Corporate subject: 92nd Street Y (New York, N.Y.). Archives. 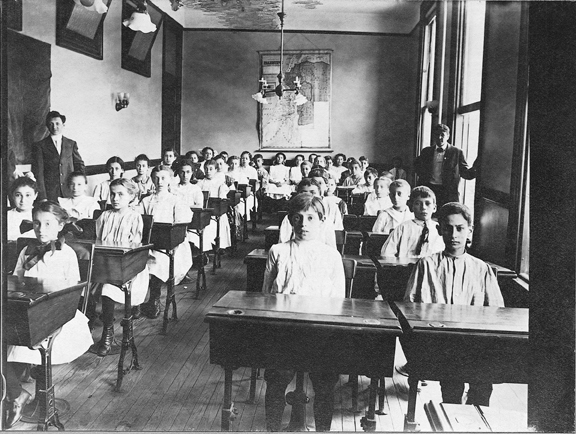 Subject term: Jews--Education--New York (State)--New York. Subject term: Dance--Study and teaching. Subject term: Jewish religious education. EDUCATION DEPARTMENT EVENTS RECORDS, 1930-1975. Physical description: 16 cubic feet. Summary: The Education Department events records include printed programs, correspondence, contracts, publicity materials and other documentation related to education and performing arts events presented at the 92nd Street Y from the 1930-1931 through 1974-1975 seasons. Events include concerts, dance recitals, general and Jewish lectures, film, theatre, children's entertainment and rentals of Y facilities by outside groups. Associated materials: Other materials related to Education Department events may be found in the following collections also held by the 92nd Street Y Archives: Files related to Unterberg Poetry Center events may be found in the Unterberg Poetry Center events record group. Files related to events held after the 1974-1975 season are in other events records, including the Events. Lectures., Events. Jewish Omnibus., Events. Harkness Dance Center., and Events. Music and Miscellaneous. record groups. Administrative records related to the Education Department are in the record group of the same name. Audio and video recordings of many Education Department events from 1949 to 1990 are available. Subject term: Lectures and lecturing. 92ND STREET Y (NEW YORK, N.Y.). Physical description: 2 cubic feet. Historical note: Educational Outreach is a community-focused department of the 92nd Street Y's School of the Arts whose goals are to provide access to cultural institutions and performances to New York City public school children and artistic and educational training to artists and teachers. The program continues services previously offered by the Education Department of the Y's Tisch Center for the Arts. Summary: The Educational Outreach records document the department's current and defunct programs, including Artists Collaborating with Teachers, Dance Introduction Series, Afterschool Scholarship Program and Schools Partnership Program. The records also include files on development and printed material for both Educational Outreach and earlier programs, including the Sidney A. Wolff New York Chamber Symphony School Concert Series. Associated materials: Other materials related to Educational Outreach are in the following collections also held by the 92nd Street Y Archives: Additional information on the Sidney A. Wolff New York Chamber Symphony School Concert Series and other educational programs of the Tisch Center for the Arts is in the Tisch Center for the Arts and Events. Music and Miscellaneous. record groups. Corporate subject: 92nd Street Y (New York, N.Y.). Educational Outreach. Corporate subject: 92nd Street Y (New York, N.Y.). School of the Arts. Subject term: Performing arts--Study and teaching. 92ND STREET Y (NEW YORK, N.Y.). EMPLOYMENT DEPARTMENT. EMPLOYMENT DEPARTMENT RECORDS, 1882-1944 (BULK 1882-1934). Physical description: 3.5 cubic feet. Historical note: The Employment Department was established in 1874 as the Free Employment Bureau. Through sixty years of operation, the department assisted young Jewish men to find work and aided employers to locate suitable employees. 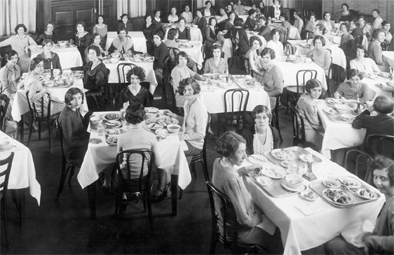 With the move in 1930 into the new YMHA building, the department’s activities expanded to include vocational guidance in addition to traditional placement work. The Employment Department was merged in 1934 into the new Federation Employment Service. Summary: Employment Department records include minutes and reports of the Board of Directors Employment Committee, 1909-1944; reports of Employment Directors, 1927-1934; statistical reports, 1924-1934; reports of Welfare Council of New York City, 1928-1934; registers of referrals, 1905-1928, vacancies, 1906-1910, and applicants, 1911-1930; and registration forms, 1930-1934. Corporate subject: 92nd Street Y (New York, N.Y.). Employment Department. Corporate subject: Federation Employment Service. Corporate subject: Welfare Council of New York City. 92ND STREET Y (NEW YORK, N.Y.). GROUP SERVICE DEPT. GROUP SERVICE DEPARTMENT RECORDS, 1899-1995 (BULK 1930-1986). Physical description: 51 cubic feet. Historical note: The Group Service Department was responsible for the administration of recreational and social service programming for children, teenagers, and adults. The department's programs included clubs, lectures, classes, afterschool programs, a parenting center, family day care, summer camps, programs for senior adults, and support services for children and adults with learning and developmental disabilities. Summary: The Group Service Department record group includes files from predecessor departments, including the Club Department. The records include director's topical files, 1914-1992; monthly and annual reports, 1936-1987; printed material, including brochures and newsletters, 1914-1981; grant and fundraising information, 1977-1991; employment information for department staff, 1965-1992; and extensive files on the department's programs, including Clubs, Adult, 92Y West, Teens, Special Services, the Parenting Center, Family Day Care, the Noar afterschool program, and the summer day camp programs. Associated materials: Other materials related to the Group Service Department may be found in the following collections also held by the 92nd Street Y Archives: Files related to programming for senior adults may be found in the Senior Adult Programs collection. Files related to lecture programming sponsored by the Adult Division of the department during the late 1980s and early 1990s may be found in the Lectures event record group. Corporate subject: 92nd Street Y (New York, N.Y.). Group Service Dept. Corporate subject: 92nd Street Y (New York, N.Y.). Parenting Center. Corporate subject: 92nd Street Y (New York, N.Y.). 92Y West. Corporate subject: 92nd Street Y (New York, N.Y.). Camp K'ton Ton. Corporate subject: 92nd Street Y (New York, N.Y.). Camp Yomi. Corporate subject: 92nd Street Y (New York, N.Y.). Camp Tova. Corporate subject: 92nd Street Y (New York, N.Y.). Camp 92. Corporate subject: 92nd Street Y (New York, N.Y.). Noar. Subject term: Jewish youth--Societies and clubs. Subject term: Social group work. Subject term: After school programs. 92ND STREET Y (NEW YORK, N.Y.). HARKNESS DANCE CENTER. HARKNESS DANCE CENTER ADMINISTRATIVE RECORDS, 1952-2004 (BULK 1992-2004). Physical description: 13.33 cubic feet. 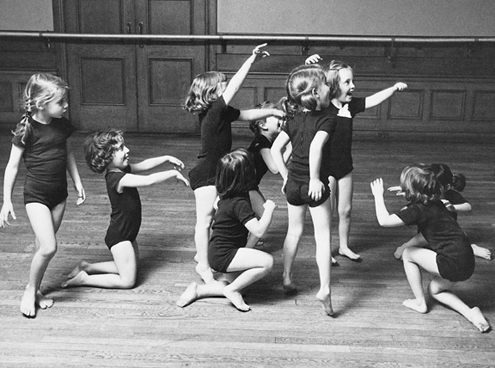 Historical note: Established in 1935, the Harkness Dance Center of the 92nd Street Y offers dance instruction for children and adults, hosts performance opportunities and subsidized rehearsal space for professional dancers and choreographers, and provides dance teacher education through its Dance Education Laboratory. Summary: The Harkness Dance Center record group includes topical files created by the center director and other staff members, 1952-2004; records related to the Harkness Foundation for Dance and development activities, 1985-2004; information on classes, workshops, and conferences, 1957-2004; faculty files, 1980s-2003; administrative and curricular records from the Dance Education Laboratory, 1995-2004; information on the Bessies, the annual New York Dance and Performance Awards, 1995-2002; and files on the center's Space Grant program, which provides subsidized rehearsal space for professional dancers. Associated materials: Other materials related to the Harkness Dance Center may be found in the following collections also held by the 92nd Street Y Archives: Additional material about the administration of the Dance Center from 1935 to 1990, including faculty files and information about Fred Berk and the Jewish Dance Division, may be found in the Education Department record group. A small amount of administrative material related to the Dance Center after 1990 may be found in the School of the Arts record group. Event files for dance performances from 1935 to 1975 may be found in the Events. Education Department. record group while performances after 1975, including the Harkness Dance Project, Sundays at 3 and Fridays at Noon performance series, may be found in the Events. Harkness Dance Center. record group. Access restriction: Access to personnel information is restricted. Corporate subject: 92nd Street Y (New York, N.Y.). Harkness Dance Center. Dance Education Laboratory. Subject term: Dance for children. 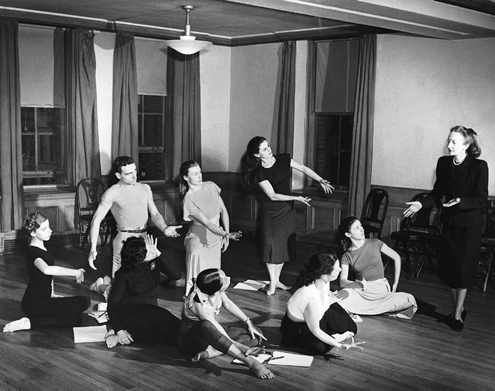 Subject term: Dance teachers--Training of. HARKNESS DANCE CENTER EVENTS RECORDS, 1968-2004 (BULK 1987-2004). Physical description: 4.75 cubic feet. Summary: The Harkness Dance Center events record group includes programs, contracts, correspondence, and other documentation related to recitals and performance series from 1967 to 2004, including the Breaking Ground lecture series, 1993-2004; Fridays at Noon, 1987-2004; Sundays at 3, 1989-2004; Harkness Dance Project, 1994-2003; and miscellaneous recitals and one-time events, 1968-2004. 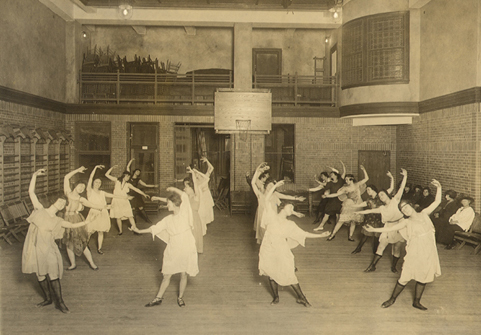 Associated materials: Other materials related to Harkness Dance Center events may be found in the following collections also held by the 92nd Street Y Archives: Event files for most dance performances from 1935 to 1975 are in the Education Department events record group. Administrative information about the center is found in the Harkness Dance Center and Education Department record groups. 92ND STREET Y (NEW YORK, N.Y.). HOUSE COUNCIL. HOUSE COUNCIL RECORDS, 1930-1964 (BULK 1930-1954). Physical description: 0.50 cubic feet. Historical note: The House Council of the 92nd Street Y was organized in 1930 as an advisory body to assist the staff in carrying out the programs and activities of the organization. Its membership consisted of delegates from departments and other organized groups of members. 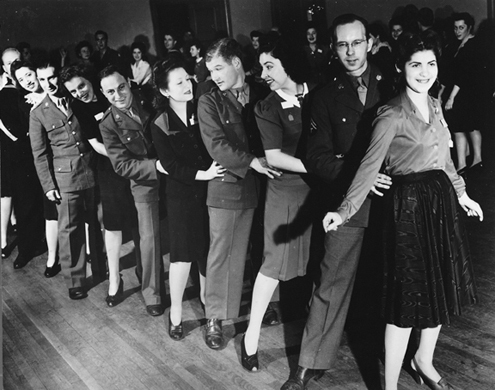 The House Council sponsored dances and outings, and aided charities, including administering the Keren Ami Committee, which distributed donations from Y members to various charities. Temporarily disbanded from 1942 to 1947, the House Council was permanently disbanded in 1958. Summary: The House Council records include meeting minutes, notices, correspondence, financial documents, bylaws and other documentation related to the council's activities. Corporate subject: 92nd Street Y (New York, N.Y.). House Council. Physical description: 1 film and 1 audio recording. Historical Note: The Summer Service Projects in Israel and on Native American reservations in the American West and Southwest were offered by the 92nd Street Y during the summer from the mid-1960s to the early 1970s. The projects offered teenagers an opportunity to participate in a range of educational and service activities and to interact with other cultures in a direct and meaningful way. Summary: The Indian and Israel Summer Service Projects record group includes administrative records related to each of the program, information about staff and participants, project newsletters, and other printed materials. JEWISH OMNIBUS EVENTS RECORDS, 1975-1990. Physical description: 6 cubic feet. Historical note: Prior to 1991, the 92nd Street Y's public programming of Jewish-themed lectures, films and courses was administered by the Education Department or Religious Department. Since 1991, Jewish programming is administered by the Bronfman Center for Jewish Life. Summary: The Jewish Omnibus events records include printed programs, correspondence, contracts, publicity materials and other documentation related to Jewish-themed lectures, lecture series, classes, holiday services and film festivals presented at the 92nd Street Y from 1975 to 1990. Associated materials: Other materials related to Jewish educational events may be found in the following collections also held by the 92nd Street Y Archives: Documentation related to non-sectarian lectures and films is in the Events. Lectures and Events. Education Department. record groups. Documentation related to Jewish-themed programming prior to the 1975-1976 season may be found in the Events. Education Department. and Religious Department record groups. Administrative records related to the Education Department are in the record group of the same name. Audio recordings of many events are available. Subject term: Jewish film festivals. Added author: 92nd Street Y (New York, N.Y.). Education Dept. Physical description: 8 cubic feet. Historical note: Prior to 1991, most non-Jewish themed lectures at the 92nd Street Y were sponsored by the Education Department or Group Service Department. Since 1991, lectures are administered by the Simon Center for Adult Life and Learning. Summary: The Lectures events records include printed programs, correspondence, contracts, publicity materials and other documentation related to lectures, lecture series, and film festivals presented at the 92nd Street Y from 1975 to 1995. Associated materials: Other materials related to lecture events may be found in the following collections also held by the 92nd Street Y Archives: Documentation related to Jewish lectures may be found in the Events. Jewish Omnibus. record group. Documentation related to lectures and film events held prior to the 1975-1976 season may be found in the Events. Education Department. record group. Administrative records related to the Education Department and the Group Service Department are in the record groups of the same name. Audio and video recordings of many events are available. Added author: 92nd Street Y (New York, N.Y.). Group Service Department. Added author: 92nd Street Y (New York, N.Y.). Simon Center for Adult Life and Learning. 92ND STREET Y (NEW YORK, N.Y.). MAY CENTER FOR HEALTH, FITNESS AND SPORT. MAY CENTER FOR HEALTH, FITNESS AND SPORT RECORDS, 1899-2005. Physical description: 5 cubic feet. Historical note: The May Center for Health, Fitness and Sport at the 92nd Street Y provides exercise, wellness, education and sports programs for children and adults. The center continues and expands upon programming offered by the Y's Physical Education Department, a primary component of the Y's offerings since its founding. Summary: The May Center for Health, Fitness and Sport record group documents the development and growth of the department from 1899 to 2005. The record group consists of six series: Administration, Atlas Athletic Club, Athletic Council, Activities and Programs, Coronary Detection and Intervention Center (CDIC), and Printed Material. Corporate subject: 92nd Street Y (New York, N.Y.). May Center for Health, Fitness and Sport. Subject term: Physical fitness centers. Subject term: Physical education and training. MUSIC AND MISCELLANEOUS EVENTS RECORDS, 1975-2002. Physical description: 30 cubic feet. Historical note: The administration of 92nd Street Y music events was the responsibility of the Education Department until 1978, when a separate Performing Arts Department was established. Concert programming became one of the major areas of oversight of the Tisch Center for the Arts upon its establishment in 1991. Summary: The Music and Miscellaneous events record group predominantly contains information on the music concerts presented by the Y beginning with the 1975-1976 season. The record group also includes documentation of children's entertainment and rental events, though these are far fewer. In addition to documentation of individual events, the record group includes information on various music performance initiatives at the Y, including the New York Chamber Symphony, a professional chamber orchestra which was founded as the in-house Y Chamber Symphony in 1977 and later independently incorporated. Associated materials: Other materials related to music events may be found in the following collections also held by the 92nd Street Y Archives: For information on the genres of events included in this record group prior to the 1975-1976 season, please consult the Events. Education Department. record group. Information on the administration and staffing of the departments responsible for these genres of programming may be found in the Tisch Center for the Arts and Education Department record groups. Corporate subject: New York Chamber Symphony. Added author: 92nd Street Y (New York, N.Y.). Tisch Center for the Arts. 92ND STREET Y (NEW YORK, N.Y.). OLD TIMERS. Physical description: 2 cubic feet and 2 card file boxes. Historical note: The Old Timers was active from 1921 to the early 1950s as an alumni organization for former members of the 92nd Street Y. Summary: The Old Timers record group includes Administration files, containing documentation of membership and activities, 1920-1957; administrative materials related to the organization's annual dinners, 1920-1957; and financial records, 1920-1957. Corporate subject: 92nd Street Y (New York, N.Y.). Old Timers. Physical description: 0.75 cubic feet. Historical note: The Projects Department of the 92nd Street Y had responsibility for Teen Bike Tours, a winter ski program, an annual photography exhibit, the Y Bulletin, and the Retired Business and Professional Men's Service Group. The department also assisted with the Summer Service Projects for teenagers, community relations, volunteer services, and holiday observances. Summary: The Projects Department record group includes director's topical files on the department's various areas of responsibility and meeting minutes, correspondence, member lists and other records relating to the Retired Business and Professionals Service Group. Associated materials: Other materials related to the Projects Department may be found in the following collections also held by the 92nd Street Y Archives: Additional information on some of the summer activities in which the Projects Department was involved may be found in the Bike Tours record group and the Indian and Israel Summer Service Projects record group. The Group Service Department record group contains documentation of related recreational and social service activities. Corporate subject: 92nd Street Y (New York, N.Y.). Projects Dept. 92ND STREET Y (NEW YORK, N.Y.). RELIGIOUS DEPARTMENT. RELIGIOUS DEPARTMENT RECORDS, 1900-1968 (bulk 1900-1951). Historical note: From 1900 to 1951, the Religious Department arranged Jewish-content programs for adults and children, and religious services on the Sabbath and holidays. 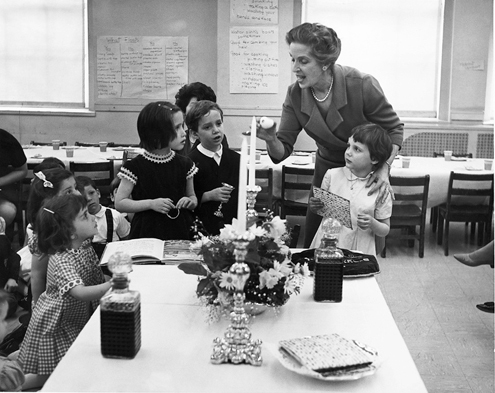 After 1945 the Education Department assumed responsibility for planning most Jewish programs, and the Religious Department was disbanded in 1951. Summary: Religious Department records include minutes and reports of the Board of Directors Religious Committee, 1913-1957; reports of the Religious Director, 1921-1951; statistical reports, 1924-1944; material on High Holy Days services, 1900-1968, Passover community seders, 1931-1942, and Friday evening services, 1900-1950; general files, 1903-1951; material on Hebrew School, 1907-1925, Religious Council, 1927-1932, Young People’s Synagogue, 1931-1939, and Adult School of Jewish Studies, 1939-1951. Corporate subject: 92nd Street Y (New York, N.Y.). Religious Department. 92ND STREET Y (NEW YORK, N.Y.). SCHOOL OF THE ARTS. SCHOOL OF THE ARTS RECORDS, 1930-2002. Historical note: The School of the Arts of the 92nd Street Y was formed in 1991 and brings together under one administrative umbrella four renowned arts education programs: the School of Music, established in 1917; the Art Center, founded in 1930; the Harkness Dance Center, instituted in 1935; and the Educational Outreach program, created in 1997, which collaborates with New York City public schools to provide innovative arts education programming. At the present time, the director of the School of the Arts is also responsible for mounting and coordinating exhibits in the Y's Milton J. Weill Art Gallery. Summary: The School of the Arts records consist primarily of exhibit files for the Milton J. Weill Art Gallery and its predecessors, 1930-2001, and a small number of files related to the administration and staff of the School, 1989-2002. Associated materials: Other materials related to the School of the Arts may be found in the following collections also held by the 92nd Street Y Archives: Detailed information on the individual programs within the School of the Arts, including the Art Center, Harkness Dance Center, and School of Music, may be found in the records of those programs. The Art Center record group also includes additional information on the Y's gallery spaces and exhibit programs, as do the Education Department and Tisch Center for the Arts record groups. Files on more recent exhibits (not yet held by the Archives) are maintained by the Director of the School of the Arts. Corporate subject: 92nd Street Y (New York, N.Y.). Milton J. Weill Art Gallery. Corporate subject: 92nd Street Y (New York, N.Y.). School of Music. 92ND STREET Y (NEW YORK, N.Y.). SCHOOL OF MUSIC. SCHOOL OF MUSIC ADMINISTRATIVE RECORDS, 1915-2004 (BULK 1924-1990). Physical description: 9.5 cubic feet. Historical note: Founded in 1917, the School of Music of the 92nd Street Y provides music instruction and performance opportunities for children and adults. Summary: The School of Music records include committee files, 1930-1989; monthly and annual reports, 1927-1976; director correspondence and topical files, 1919-2001; employment information for faculty, 1941-2004; student evaluations, 1964-1990; and printed material, including newsletters and catalogues, 1915-1984. Associated materials: Other materials related to the School of Music may be found in the following collections also held by the 92nd Street Y Archives: Documentation of School of Music concerts, recitals, and event series, including Lyrics and Lyricists, Jazz in July, and Jewish Opera at the Y may be found in the School of Music events record group. Audio and video recordings are available for selected events. Personal subject: Binder, Abraham Wolf, 1895-1966. Subject term: Conservatories of music. Subject term: Music--Study and teaching. SCHOOL OF MUSIC EVENTS RECORDS, 1915-2004. Physical description: 5.33 cubic feet. Summary: The School of Music events records include documentation of concerts, recitals, and other events presented by the School of Music from 1915 to 2001 including Jazz in July, 1985-1993; Jewish Opera at the Y, 1978-1989; Kaufmann Concerts, 1932-1965; Lyrics and Lyricists, 1970-1991; and school-sponsored recitals and other events, 1915-2004. Associated materials: Other materials related to the School of Music may be found in the following collections also held by the 92nd Street Y Archives: Audio and video recordings are available for selected events. Files on more recent Jazz in July and Lyrics and Lyricists events are in the Events. Music and Miscellaneous. record group. Administrative records related to the School of Music are found in the School of Music record group. SCOUTING PROGRAMS COLLECTION, 1913-1961 (BULK 1928-1952). Physical description: 1 cubic foot. 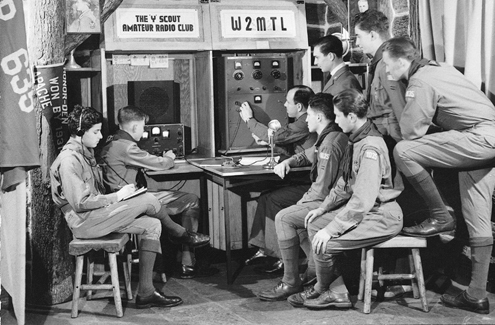 Historical note: Operating with varying levels of participation from 1911 until the 1990s, the scouting programs of the 92nd Street Y included Boy Scout, Cub Scout, Explorer, Girl Scout, and Brownie troops. Summary: The scouting programs collection includes general program information, such as histories, committee files, newsletters, and reports; and documentation of the activities of the individual programs, including the Amateur Radio Club, Boy Scouts, Cub Scouts, and Girl Scouts. Associated materials: Other materials related to the scouting programs may be found in the following collections also held by the 92nd Street Y Archives: A small amount of program administration information may be found in the Group Service Department record group. Information on the scout camp may be found in the Camp Lehman record group. Subject term: Scouts and scouting. SENIOR ADULT PROGRAMS COLLECTION, 1950-2004 (BULK 1950-1985). Physical description: 5.5 cubic feet and 1 linear foot card file box. Historical note: Since 1965 the 92nd Street Y has been providing social, recreational, and support services for older adults through various programs. As of 1996, the main program for seniors at the Y is 60+ (60 Plus). Summary: The senior adult programs collection includes the records of the Yorkville Neighborhood Club (an organization founded outside the Y that served as the immediate predecessor to the Y program), the 60+ program and its predecessors, as well as the West Side Senior Adult Program and the Alzheimer's Day Activity Program. The records include director's and program topical files for each of the programs, 1950-1985; member registration cards for the West Side Senior Adult Program, 1981-1984; and printed material, including program newsletters, calendars, and literary journals printed by the Creative Writing Workshop, 1952-2004. Associated materials: Other materials related to the senior adult programs of the 92nd Street Y may be found in the following collections also held by the 92nd Street Y Archives: Additional information about the administration of programming for senior adults may be found in the Group Service Department record group. Corporate subject: Yorkville Neighborhood Club (New York, N.Y.). Corporate subject: 92nd Street Y (New York, N.Y.). 60 Plus. Corporate subject: 92nd Street Y (New York, N.Y.). West Side Senior Adult Program. Corporate subject: 92nd Street Y (New York, N.Y.). Alzheimer's Day Activity Program. Subject term: Older people--Societies and clubs. Subject term: Older people--Services for. Added author: 92nd Street Y (New York, N.Y.). 60 Plus. Added author: 92nd Street Y (New York, N.Y.). West Side Senior Adult Program. Added author: 92nd Street Y (New York, N.Y.). Alzheimer's Day Activity Program. THEATRE ACTIVITIES COLLECTION, 1928-1988 (BULK 1980-1988). Historical note: From the earliest stage technique classes and dramatic clubs of the 1920s to the well-known and established American Jewish Theatre of the 1980s and finally to the short-lived, experimental Mosaic Theatre, the 92nd Street Y has been active in the dramatic arts over its history. Summary: The theatre activities collection documents the various dramatic opportunities and productions at the Y. The records are divided into three series: Early Theatre Activities, the American Jewish Theatre, and the Mosaic Theatre. Associated materials: Other materials related to theatre activities are in the following collections also held by the 92nd Street Y Archives: Files describing classes that were offered as well as biographical information about individual faculty members are in the Education Department record group. Additional information about classes can be found in the brochures, catalogs and other printed material produced by the Education Department. Files concerning various club dramatic activities, Noar (the children's after-school program), and some community theatre activities are in the Group Service Department record group. Administrative records concerning the two professional organizations, the American Jewish Theatre and Mosaic Theatre, may be found in the Tisch Center for the Arts record group (which includes files for the Performing Arts Department, to which the two theatre companies reported). Additional printed materials are available in scrapbooks. Subject term: Acting--Study and teaching. Added author: 92nd Street Y (New York, N.Y.). Drama Dept. Added author: 92nd Street Y (New York, N.Y.). Mosaic Theatre. TISCH CENTER FOR THE ARTS RECORDS, 1962-1996 (BULK 1978-1993). Physical description: 6.5 cubic feet. Historical note: Established in 1991, the Tisch Center for the Arts of the 92nd Street Y administers concert programming and the Unterberg Poetry Center. Summary: The Tisch Center for the Arts record group includes files generated by the center and two predecessor departments, the Performing Arts Department (1978-1988) and Performing Arts and Humanities (1988-1991). The records include director's topical files, 1962-1996, including information on the Unterberg Poetry Center, American Jewish Theatre, and Mosaic Theatre; budget and development files, 1978-1995; and employment information about staff members, 1974-1990. Associated materials: Other materials related to the Tisch Center for the Arts may be found in the following record groups also held by the 92nd Street Y Archives: Files related to concerts from 1975 to the present may be found in the Music and Miscellaneous events record group. Audio and video recordings are available for many events from 1975 to the present. Files related to the Unterberg Poetry Center may be found in the Unterberg Poetry Center administrative and events record groups. Additional information on the American Jewish Theatre and Mosaic Theatre may be found in the Theatre Activities collection. Corporate subject: 92nd Street Y (New York, N.Y.). Tisch Center for the Arts. Corporate subject: American Jewish Theatre (New York, N.Y.). Corporate subject: Mosaic Theatre (New York, N.Y.). TOURS AND TRAVEL RECORDS, 1977-2003 (BULK 1990-2000). Historical note: The Tours and Travel department of the 92nd Street Y offered walking tours and domestic and international trips. The department developed out of the 92Y West extension program of the late 1970s and was discontinued in 2003. Summary: The Tours and Travel record group documents selected programs of 92Y West and the development of its subsequent manifestations, Tours and Talks and Tours and Travel. The record group is divided into six series: General, Correspondence, Publications, Travel, Tours, and Tour Leaders. Associated materials: Other materials related to Tours and Travel are in the following collections also held by the 92nd Street Y Archives: Additional information and printed material related to 92Y West and tour and trip activities prior to the creation of the Y centers in 1990-1991 is in the Group Service Department record group. Additional information on Tours and Travel post-1991 is in the Simon Center for Adult Life and Learning record group, primarily in the files of the director. Corporate subject: 92nd Street Y (New York, N.Y.). Tours and Travel. Geographic term: New York (N.Y.)--Tours. 92ND STREET Y (NEW YORK, N.Y.) UNTERBERG POETRY CENTER. UNTERBERG POETRY CENTER ADMINISTRATIVE RECORDS, 1940-2004. Historical note: Established in 1939, the Unterberg Poetry Center of the 92nd Street Y hosts readings, verse dramas, and lectures featuring acclaimed authors and poets and sponsors writing programs for children and adults. Summary: The Unterberg Poetry Center records include director's correspondence and topical files, 1940-2001; administrative records related to development, budgeting and marketing, 1960-2001; files related to the annual poetry contest "Discovery" The Nation, 1975-2000; files related to special projects, including the National Literary Audience Development Project, 1995-1999, and The Poet's Voice public radio series, 1990-2000; printed material such as season brochures and published anthologies; and correspondence with authors invited to read at the center, 1953-2004. Associated materials: Other materials related to the Unterberg Poetry Center may be found in the following collections also held by the 92nd Street Y Archives: Files related to readings and other presentations from 1937-1989 are held in the Unterberg Poetry Center events record group. Audio and video recordings of many readings from 1949 to the present are available. Additional information on the administration of the center may be found in the records of the Education Department and the Tisch Center for the Arts. Title subject: The poet's voice (Radio program). Subject term: Literature--Study and teaching. 92ND STREET Y (NEW YORK, N.Y.). UNTERBERG POETRY CENTER. UNTERBERG POETRY CENTER EVENTS RECORDS, 1939-2001 (BULK 1958-1991). Summary: The Unterberg Poetry Center events records include correspondence, programs, and other documentation related to readings and other events sponsored by the center from 1939 to 2001. Associated materials: Other materials related to Unterberg Poetry Center events may be found in the following collections also held by the 92nd Street Y Archives: Audio and video recordings of many readings from 1949 to the present are available. Information on the administration of the center may be found in the Unterberg Poetry Center, Education Department and Tisch Center for the Arts record groups. Subject term: Oral interpretation of poetry. Historical note: Founded in 1918 as National Association of Young Men’s Hebrew and Kindred Associations Secretaries, later known as National Association of Jewish Community Center Secretaries, National Association of Jewish Center Executives, National Association of Jewish Center Workers, and Association of Jewish Center Workers. Summary: The ACJW collection includes reports, circulars, and other publications of the Association, 1918-ca.1980; correspondence of Jack Nadel as Secretary-Treasurer, 1923-1924, and President, 1925-1926; and materials on the Metropolitan Association of Jewish Center Workers. Corporate subject: National Association of Young Men’s Hebrew and Kindred Associations Secretaries. Corporate subject: National Association of Jewish Community Center Secretaries. Corporate subject: National Association of Jewish Center Executives. Corporate subject: National Association of Jewish Center Workers. Corporate subject: Association of Jewish Center Workers. Corporate subject: Metropolitan Association of Jewish Center Workers. Historical note: In operation from 1916 to 1941, Camp Lehman served as a Boy Scout and boys' summer camp under the auspices of the YMHA. Summary: The Camp Lehman record group includes correspondence, reports, financial and administrative information related to the operation of the camp, staff and camper information, and printed and visual materials, including the camp newsletter. Associated materials: Other materials related to Camp Lehman may be found in the following collections also held by the 92nd Street Y Archives: Records concerning the Y's Boy Scout Troup, as well as general information on scouting, may be found in the Scouting Programs collection. Records regarding other camps hosted by the Y or that included the Y's participation may be found in the Surprise Lake Camp, Group Service Department, and Goldman Family Center record groups. CLARA DE HIRSCH HOME FOR WORKING GIRLS RECORDS, 1897-1962. Physical description: 4.33 cubic feet and 7 artifacts. Historical note: Established in 1897 the Clara de Hirsch Home for Working Girls provided housing, training, and employment services for immigrant and American-born young women in New York City. The Home merged with the 92nd Street Y in 1962. Summary: The Clara de Hirsch Home for Working Girls records consist primarily of minutes, reports, and the administrative files of the Superintendent/Director. Personal subject: Hirsch-Gereuth, Clara de, Baroness, 1833-1899. Personal subject: Straus, Sarah Lavanburg. Personal subject: Lavanburg, Frederick L.
Corporate subject: Hannah Lavanburg Home. Subject term: Working class women. Historical note: The Colonel Harry D. Henshel Foundation was created in 1962 to provide support for health and physical education activities of the National Jewish Welfare Board. The Foundation was dissolved in 1971. Summary: The Foundation’s records consist of minutes, correspondence, financial records, and printed materials. Corporate subject: Colonel Harry D. Henshel Foundation. Corporate subject: National Jewish Welfare Board. Physical description: 0.5 cubic feet. Historical note: The Council of Young Men’s Hebrew and Kindred Associations was organized in 1913 and merged with the National Jewish Welfare Board in 1921. Summary: The Council of Young Men’s Hebrew and Kindred Associations collection includes publications, circulars, and other releases of the organization; and correspondence, 1914, of Falk Younker, Field Secretary of the Council. Corporate subject: Council of Young Men’s Hebrew and Kindred Associations. EAST NEW YORK YOUNG MEN’S AND YOUNG WOMEN’S HEBREW ASSOCIATION RECORDS, 1938-[CA. 1969]. Physical description: 23 cubic feet. Historical note: The East New York YM-YWHA was organized in 1938 in East New York, Brooklyn. The agency is now known as the Central Queens YM-YWHA in Forest Hills, Queens. Summary: The East New York YM-YWHA records include Board of Directors minutes, reports, administrative files, and publications, 1938-ca. 1969; and files of staff members, ca. 1950 – ca. 1969. Corporate subject: East New York Young Men’s and Young Women’s Hebrew Association. Corporate subject: Central Queens YM-YWHA. EASTERN STATES DEBATING LEAGUE OF HEBREW ASSOCIATIONS RECORDS, 1923-1931. Historical note: The Eastern States Debating League was established to coordinate debating activities among Young Men’s Hebrew Associations. Summary: The Eastern States Debating League records consist of correspondence and printed materials. Corporate subject: Eastern States Debating League of Hebrew Associations. Subject term: Debates and debating. FEDERATION EMPLOYMENT AND GUIDANCE SERVICE COLLECTION, 1934-1976. Historical note: The Federation Employment Service was formed in 1934 as a merger of the employment activities of six Jewish agencies, including the Young Men’s Hebrew Association. The Young Women’s Hebrew Association Employment Bureau joined in 1938. The agency is now known as Federation Employment and Guidance Service – FEGS. Summary: The FEGS collection includes Board of Directors minutes, 1943-1976; reports, 1934-1952; and publications, circulars, and other material. Corporate subject: Federation Employment and Guidance Service. Corporate subject: Young Women’s Hebrew Association. Employment Bureau. FEDERATION OF JEWISH PHILANTHROPIES OF NEW YORK COLLECTION, 1917-1986. Physical description: 10 cubic feet. Historical note: The Federation for the Support of Jewish Philanthropic Societies of New York was established in 1917. The 92nd Street Young Men’s Hebrew Association and the Young Women’s Hebrew Association were among the founding organizations. The first president of Federation was Felix M. Warburg, YMHA president, 1908-1916. The agency later was known as the Federation of Jewish Philanthropies of New York, and is now known as the UJA-Federation of New York. Summary: The Federation collection consists of reports, publications, circulars, and other printed material. Corporate subject Federation for the Support of Jewish Philanthropic Societies of New York. Corporate subject: Federation of Jewish Philanthropies of New York. Corporate subject : UJA-Federation of New York. HOLY SOCIETY OF THE CITY OF NEW YORK RECORDS, 1849-1968 (BULK 1900-1968). Historical note: The Holy Society of the City of New York was organized in 1846 and incorporated in 1849 as a Jewish burial and mutual aid society. It was also known by the Hebrew name Chevra Kadisha. The Society maintained a cemetery plot in Washington Cemetery, Brooklyn. Jack Nadel, executive director of the Young Men’s Hebrew Association, was a trustee of the Society. Most of the records were deposited in Nadel’s custody in 1939 when the Society’s membership was dwindling rapidly. The Society is defunct. Summary: The Holy Society records include deeds and leases to land at Washington Cemetery and meeting places, 1871-ca. 1907; minutes, 1900-1934; financial records; members ledger, 1900-1927; burial permits, 1872-1927; files on members; records of Society secretary Irving Grossman and of Jack Nadel; and maps of the cemetery plot. Corporate subject: Holy Society of the City of New York. Corporate subject: Chevra Kadisha (New York, N.Y.). Corporate subject: Washington Cemetery (Brooklyn, N.Y.). Added author: Nadel, Jack, 1893-1987. METROPOLITAN LEAGUE OF JEWISH COMMUNITY ASSOCIATIONS COLLECTION, 1914-1935. Historical note: The Metropolitan League of Young Men’s Hebrew Associations was organized in 1914 as a confederation of YMHAs in greater New York and vicinity. The League was reorganized in 1926 as the Metropolitan League of Jewish Community Associations. In 1935 the League became the New York Metropolitan Section – Jewish Welfare Board. Summary: The Metropolitan League collection includes minutes, publications, circulars, correspondence, and other releases of the organization. Corporate subject: Metropolitan League of Young Men’s Hebrew Associations. Corporate subject: Metropolitan League of Jewish Community Associations. Corporate subject: National Jewish Welfare Board – New York Metropolitan Section. JACK NADEL PAPERS, CA. 1906-1980. Historical note: Jack Nadel was involved with the 92nd Street Y for nearly his entire life. He started to work at the Y at the age of 13, served as the executive director from 1922 to 1956 and executive vice president in 1957, and was a member of the Board of Directors from 1957 to 1987. Summary: The Jack Nadel papers include professional and personal correspondence, printed items, certificates and diplomas, and other material concerning Nadel’s activities at the 92nd Street Y and other organizations including the Metropolitan Association of Jewish Center Workers, National Association of Jewish Community Center Secretaries, National Jewish Welfare Board, Federation Employment and Guidance Service, and Yeshiva University Wurzweiler School of Social Work. Corporate subject: 92nd Street Y (New York, N.Y.). Corporate subject: Yeshiva University. Wurzweiler School of Social Work. Personal subject: Nadel, Jack, 1893-1987. NATIONAL JEWISH WELFARE BOARD COLLECTION, 1917-1986. Historical note: The National Jewish Welfare Board (JWB) was established in 1917 to provide support services for Jewish military personnel. 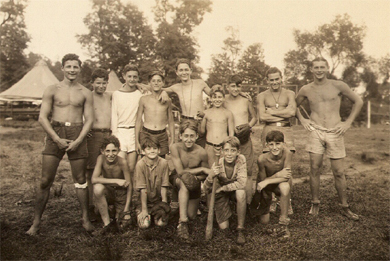 As a result of the 1921 merger of the Council of Young Men’s Hebrew and Kindred Associations with the JWB, the agency also served YM-YWHAs, Jewish community centers, and Jewish-sponsored camps. JWB is now known as the Jewish Community Centers Association of North America. Summary: The JWB collection consists of reports, publications, circulars, and other printed material. Corporate author: National Jewish Welfare Board. Corporate author: Council of Young Men’s Hebrew and Kindred Associations. Corporate author: Jewish Community Centers Association of North America. YOUNG WOMEN'S HEBREW ASSOCIATION RECORDS, 1902-1945. Physical description: 3.5 cubic feet of records. Physical description: 10 linear feet of card files. Historical note: Established in 1902, the Young Women's Hebrew Association of New York provided housing, education, and social and recreational services to young Jewish women. The organization was reincorporated as the Jewish Association for Neighborhood Centers in 1945 and many of its original functions were taken up by the 92nd Street Y. Summary: The Young Women's Hebrew Association records consist primarily of meeting minutes, reports, correspondence, and residents' files, along with printed materials, photographs, and artifacts. YOUNG MEN’S HEBREW ASSOCIATION (BROOKLYN, N.Y.) RECORDS, 1921-1947 (BULK 1921-1932). Physical description: 0.1 cubic feet. Historical note: The Young Men’s Hebrew Association of Brooklyn was incorporated in 1907 and dissolved in 1947. Summary: Board of Directors minutes, 1921-1923, 1929-1932; legal records, 1947. Corporate subject: Young Men’s Hebrew Association (Brooklyn, N.Y.).